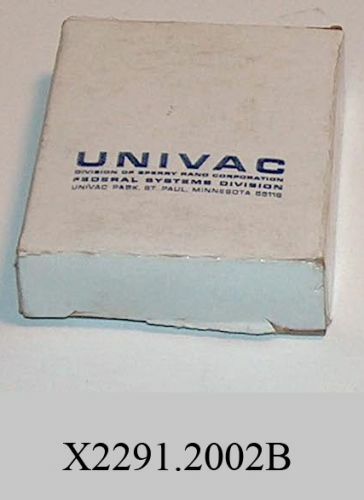 Object is a small UNIVAC connector in original packaging. Box reads in part, "CONNECTOR .. 1 EA .. NObsr 93254 ... ITEM NO 30..."